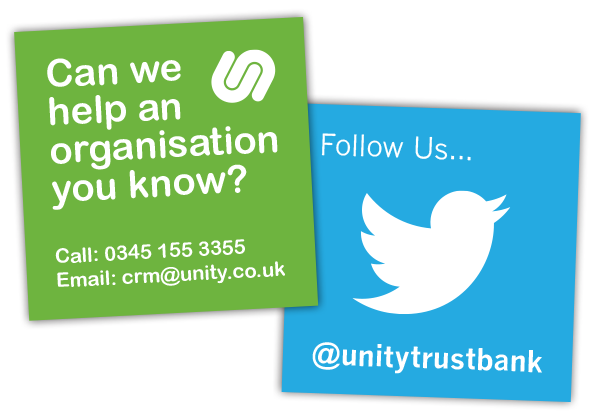 A set of 11, double sided business cards (85mm x 55mm) for Unity Trust Bank. 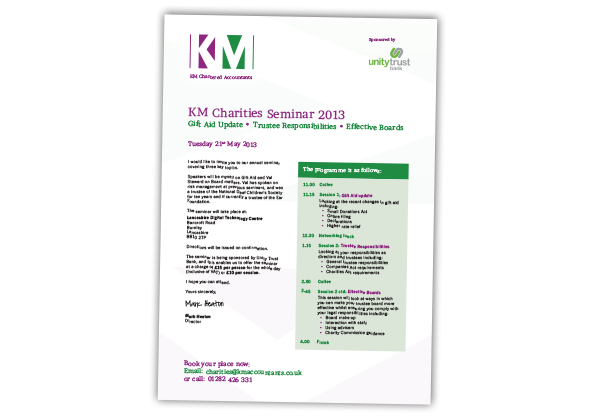 An A4 leaflet for Unity Trust Bank to promote their charities seminar run in association with KM Chartered Accountants. 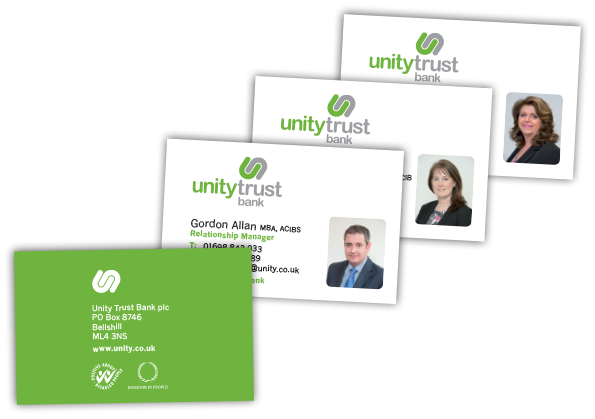 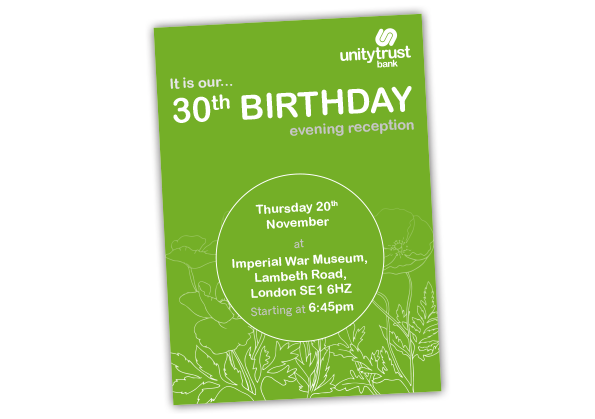 A range of adverts for Unity Trust Bank to be printed in various publications to promote their services. 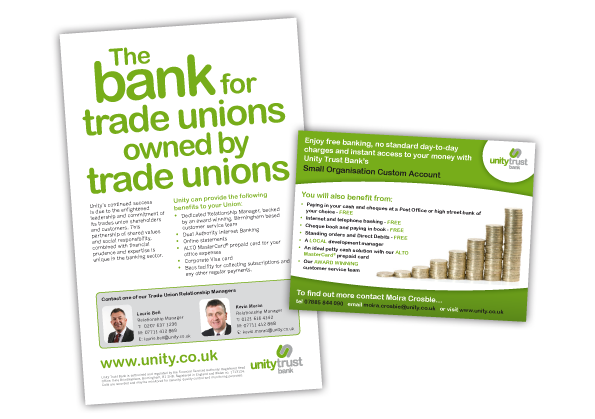 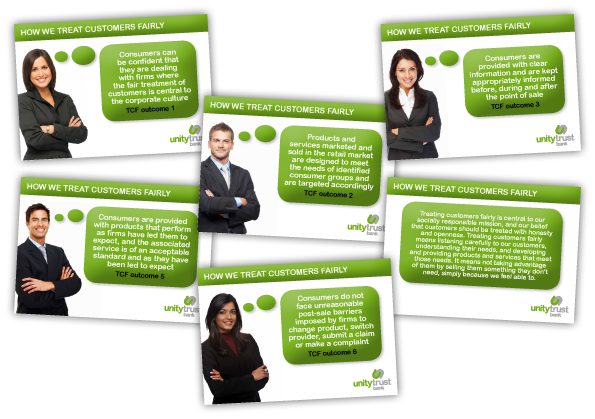 Design of a set of six A1 customer service posters for Unity Trust Bank.